Dum dum dum dum duh dum dum duh dum… You hear Darth Vader’s Imperial March theme a lot in our house. My husband is a major(!) Star Wars fan and he’s trying to turn my daughter into one as well. 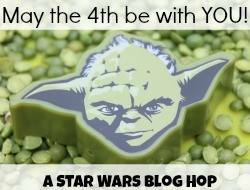 So we’re getting ready to celebrate a very important holiday, May the Fourth, otherwise known as Star Wars Day. 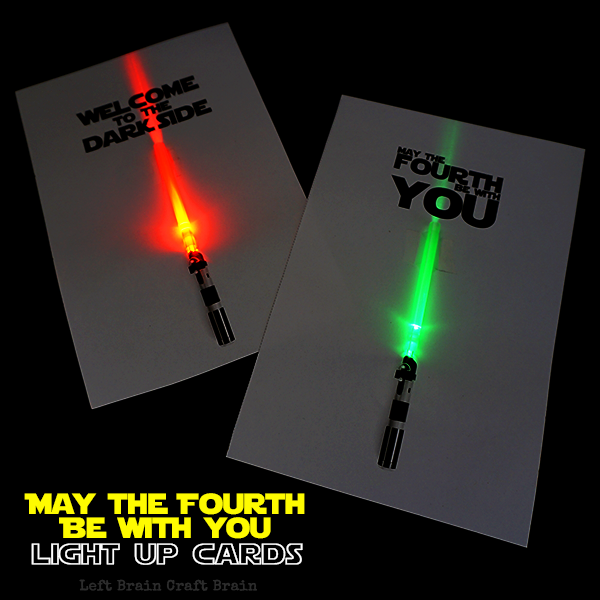 Show your love for all things Star Wars with these awesome May the Fourth Be With You Light Up Cards. 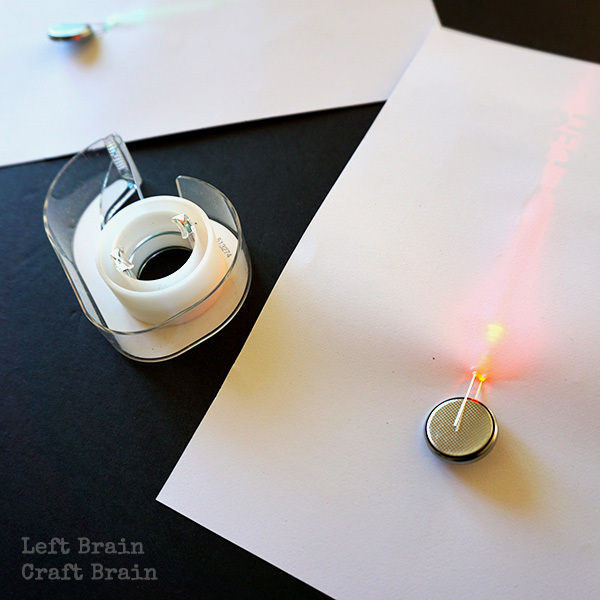 All it takes is a free printable card and some simple circuits! This post contains affiliate links. 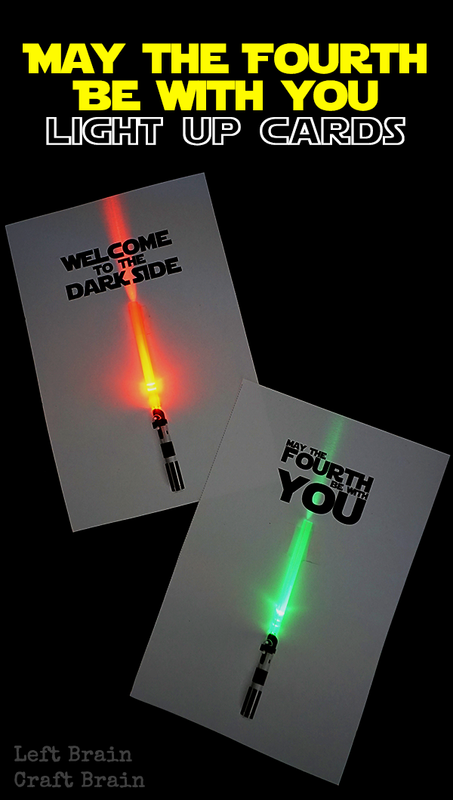 These are the supplies you need to make both a May the Fourth Be With You card and a Welcome to the Dark Side card. CLICK HERE TO DOWNLOAD YOUR MAY THE FOURTH AND FORCE BE WITH YOU CARDSSAFETY NOTE: Please keep all coin cell batteries away from small children or children who still put things in their mouth. They are extremely hazardous if swallowed. Watch the video or read ahead to learn how to make your own card. 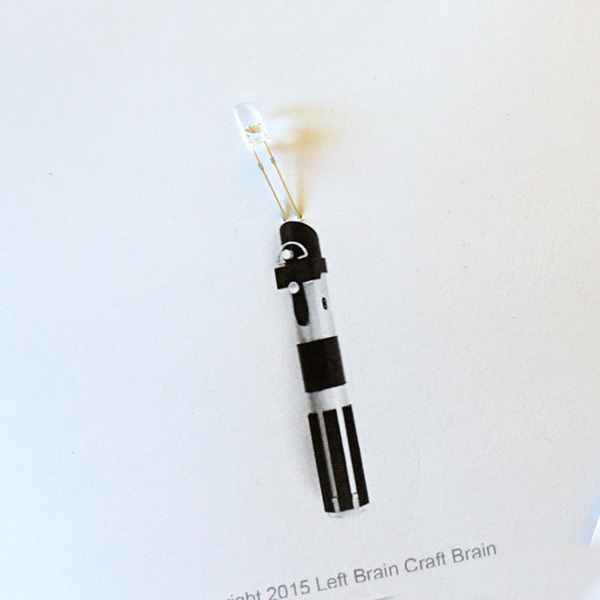 Download the May the Fourth Be With You Light Up Circuit Card. 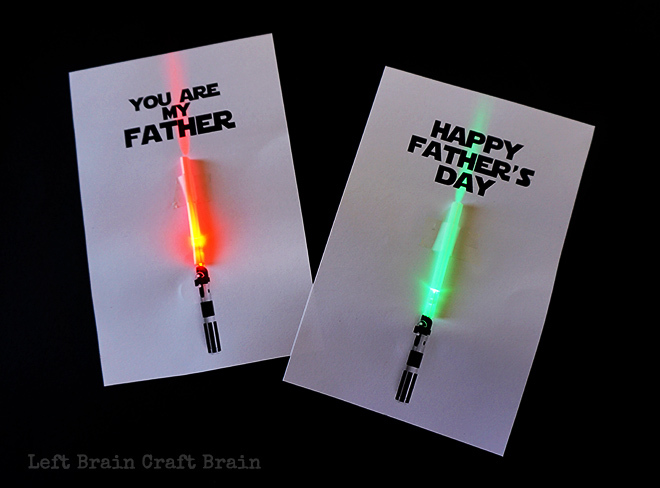 Print out card and cut down the center dotted line. 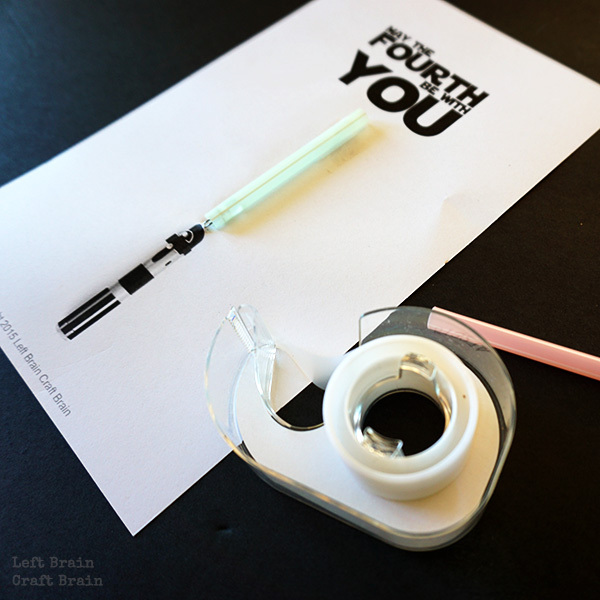 Measure a 2 3/4″ portion of both the pink and green straws and cut. Set aside. Poke two holes about 3 mm apart just above the lightsaber hilt (handle) for the LED. Insert LED. Place LED inside end of straw and tape straw to card at the end away from the hilt. Flip card over and insert battery so that one contact is on each side. You want the positive LED contact (the longer wire) to connect to the negative side of the battery and vice versa. Tape wires and battery to card. 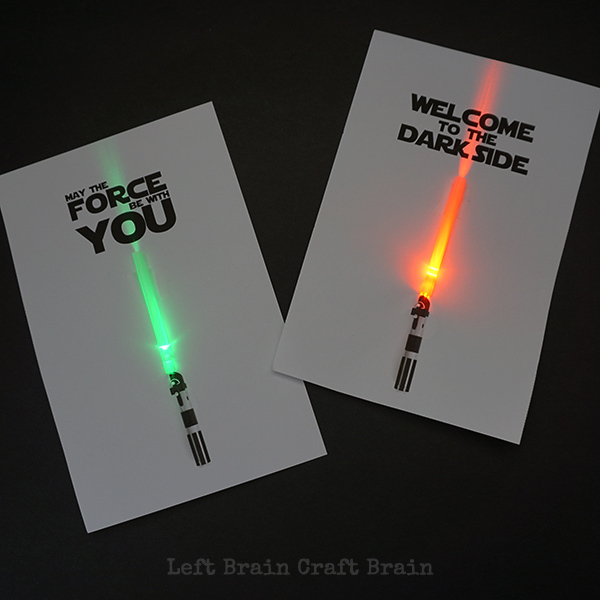 For a Darth style dark side card, repeat with the Welcome to Dark Side half of the printable, a red LED and pink straw. Too Late for May the Fourth? 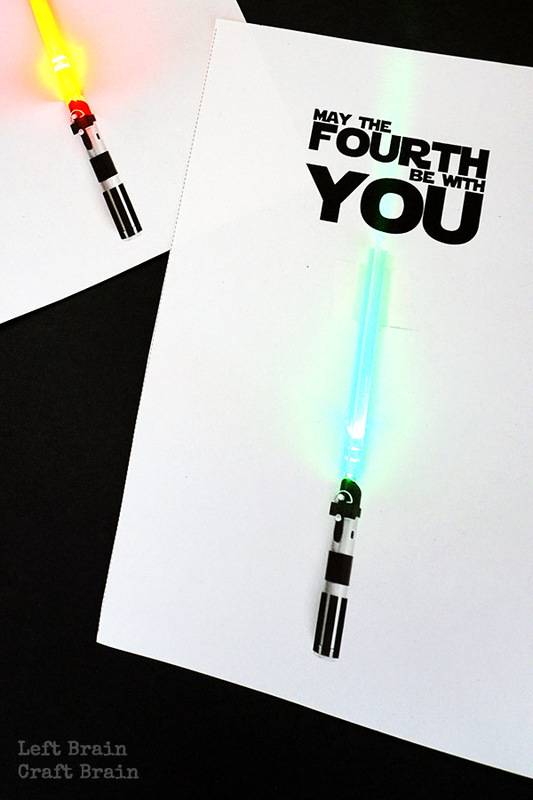 Don’t worry, I made you a May the FORCE Be With You card too :) Simply make a May the Force Be With You Card instead! 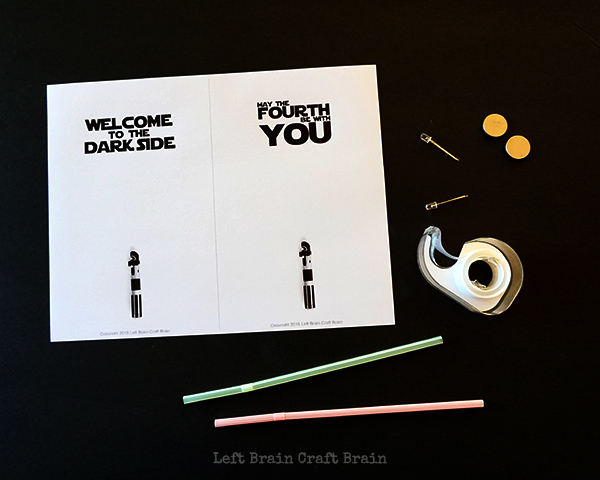 Crayon Resist Death Star || Fun-A-Day! 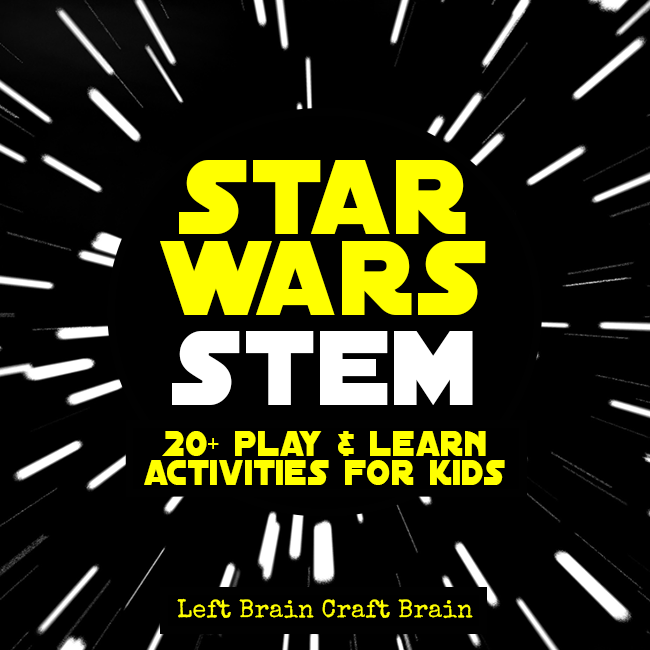 This is a great idea for Star Wars Reads Day! How did you print something that’s 12×12? Our printer can’t accommodate that size. Did you cut them in half first? Hi Lisa– It should print two copies side by side on an 8 1/2″ x 11″ standard letter size piece of paper. Were you able to figure it out? The link to the supplies that you provide at the top went to an amazon page for 12×12 cardstock, so that’s what I purchased. Did you glue the 8 1/2″ x 11″ onto the 12×12 cardstock? Hello…I’d like to make this for my son….who is 30…anyway I was wondering how does this get turned on and off….I hope you are able to answer this question as soon as possible as his birthday is in a couple of days….thank you so much for your help…. BIG QUESTION! Why CR2032 coin cell battery instead of a much thinner one like CR2016? Either works. I picked 2032’s because they were cheaper online at the time I wrote the post. Oh no!! Luckily there are a few other vendors on Amazon that have them: 3mm and 5mm Assorted Clear LED Light Emitting Diodes 5 Colors Pack of 300 https://www.amazon.com/dp/B01BXS41LG/ref=cm_sw_r_cp_api_3uhIxbEVA9J5C. 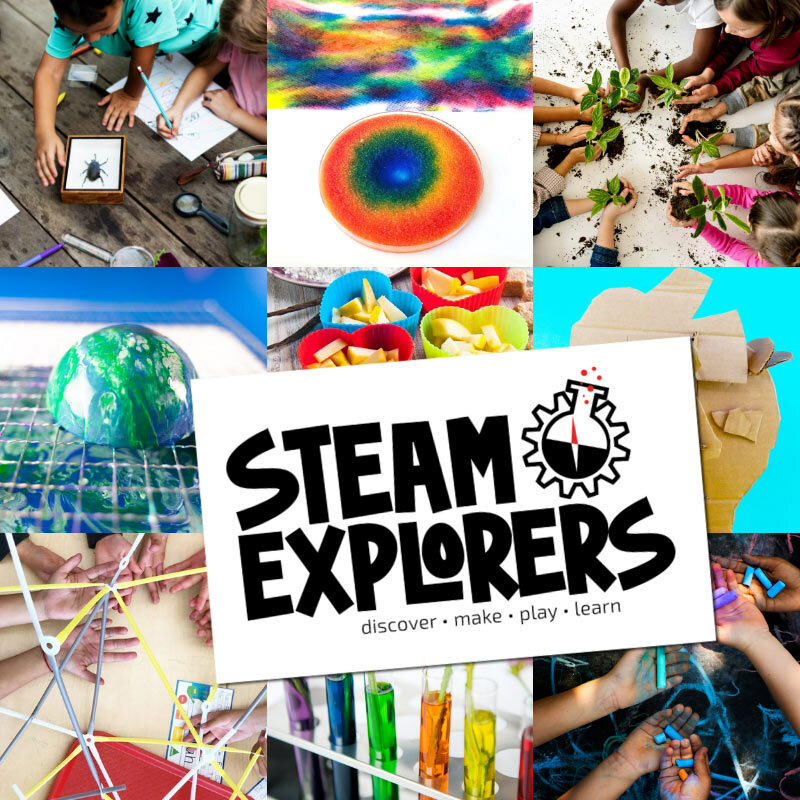 Or you can try Radio Shack or Spark Fun.